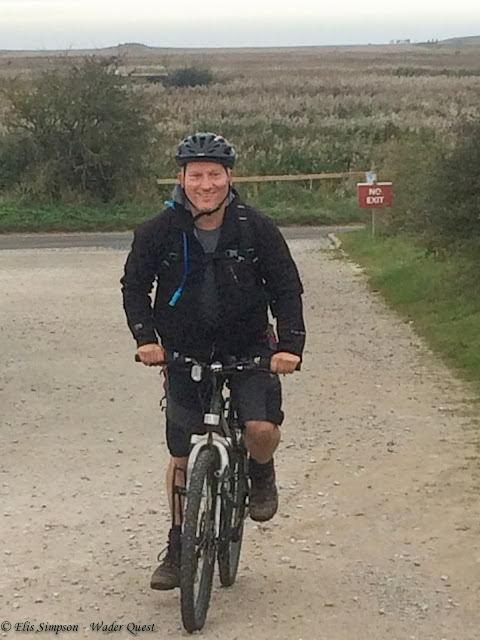 Wader Quest: Magnificent Andrew Whitelee aka NBROT has concluded his marathon fundraising bike ride. Magnificent Andrew Whitelee aka NBROT has concluded his marathon fundraising bike ride. He sailed from North Ronaldsay with his bike and then cycled from Aberdeen to Cley in Norfolk in order to raise funds for two charities he felt passionate about. One of those charities was Wader Quest the other was the Bird Observatories Council. Andrew must be over the moon that he has finished! Andrew faced an obscene number of obstacles along the way through Scotland, a couple of punctures a closed Fourth Bridge, a buckled wheel and bent spanner, torrential rain and heavy headwinds and all of this on a bike laden down with camping gear. This boy was not going to do this in comfort, Oh no! He was determined to suffer. The expectation of this decision was that people would be more inclined to donate than if he pitched up at a cushy B&B every night. Added to which of course the whole thing was coming out of his own pocket. 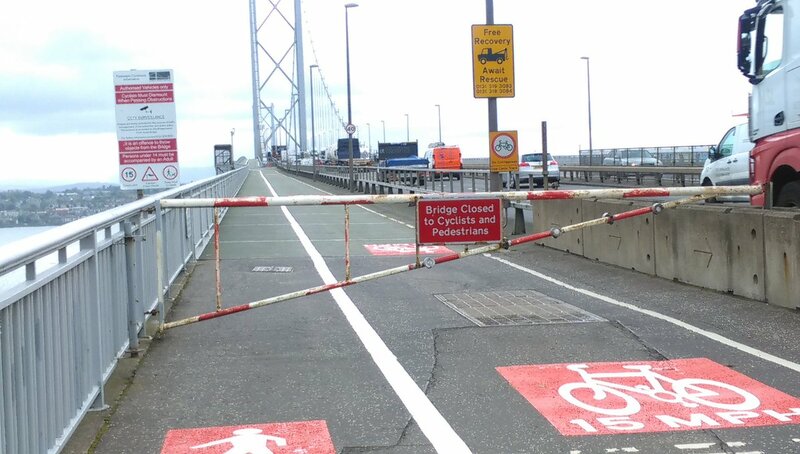 Bit of a detour then? 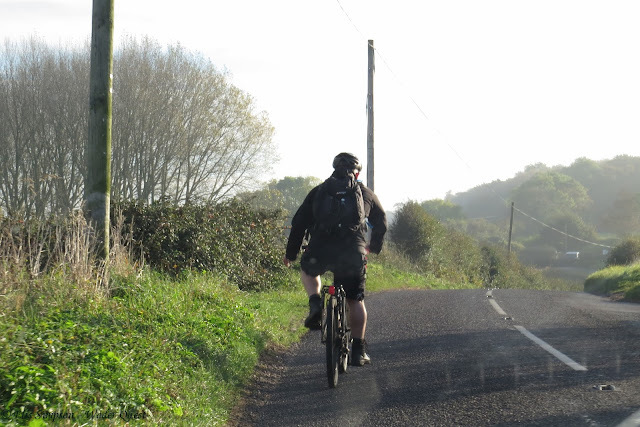 Once he crossed the border into England Andrew felt that he was on his way and indeed he was until he was struck from behind with a glancing blow from a rampant 4x4 vehicle that had strayed into the cycle lane. He was shot from the bike and was advised by medical professionals, from whom he sought advice, not to continue the ride for at least a week. Depressed and feeling that he was letting everyone down (not a feeling shared by us), Andrew retired to convalesce. But you can't keep a good man down for long and he announced that he would resume the task and complete the last three days of the ride from Skegness in Lincolnshire to Cley in Norfolk. So it was that we were able to meet him and give him some encouragement at the RSPB reserve of Frampton Marsh where together we sought, in vain, the Long-billed Dowitcher that seemed to be giving everyone else such good views. 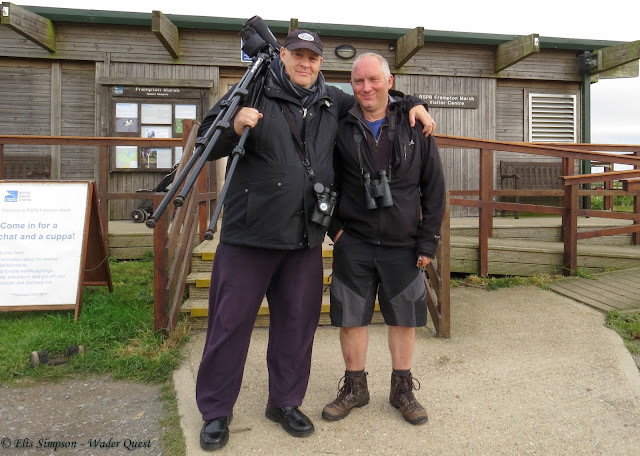 Rick Simpson and Andrew Whitelee at RSPB Frampton Marsh. 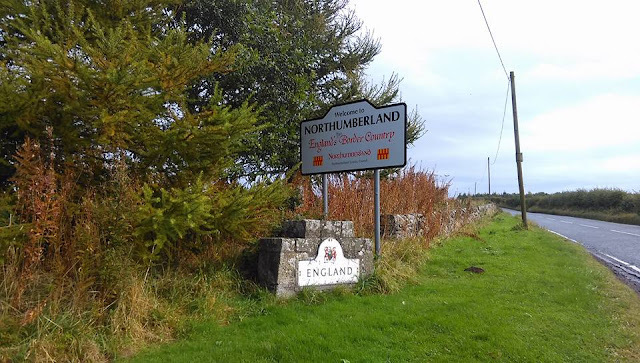 We left him heading for Sutton Bridge on the Lincolnshire / Norfolk border for the night, now not camping (on medical advice). We then caught up with him again the next day when he flew into RSPB Titchwell. 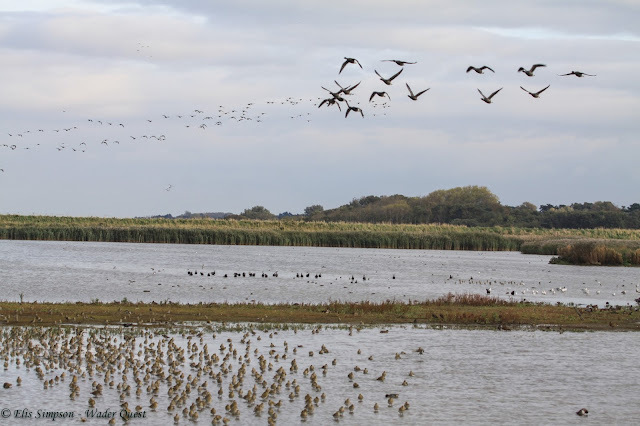 We had planned to meet him again at RSPB Snettisham but he had a tail wind and shot past there well before our rendezvous time so we had a rethink and met at the aforementioned Titchwell. We had a good afternoon in lovely weather with several hundred Eurasian Golden Plovers on show so Andrew was able to relax a little in preparation for that last big push on to Cley the next day. Titchwell Freshmarsh is a busy place. We saw him off from Titchwell and spent a bit of time following his progress. It was obvious from the way he held one arm down by his side that his accident wounds were still troubling him. But his determination to finish drove him on. Andrew in the still leafy lanes of Norfolk, note the dangling left arm. 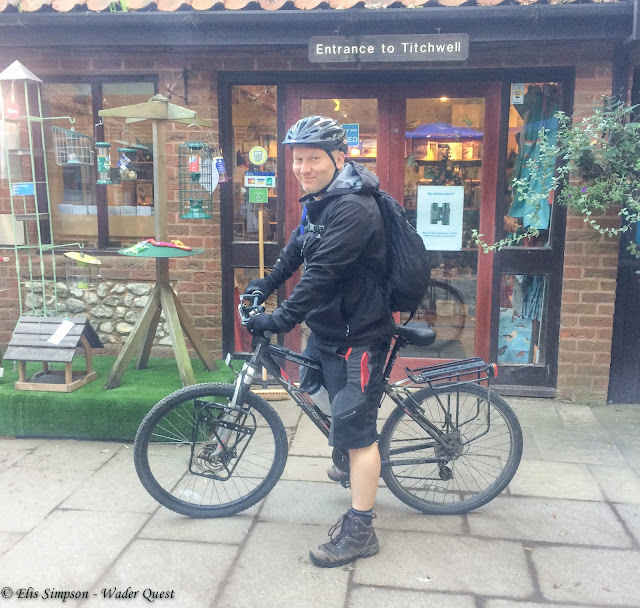 We then waited at Cley for him to appear which he did half an hour before schedule at 12:30 when he peeled off the road into the Cley NWT visitor centre car park with a broad grin and pulled a wheelie in celebration. Andrew happy to have arrived at his destination! It was done, there to meet him were friends Penny Insole and Ian Dearing both of whom have been very supportive, and of course Wader Quest was there to see him arrive too. So the peddling is done, but what of the fundraising? The target was £1,000 and at the time of writing that has been 76% achieved. There are a couple of days left on the JustGiving site to allow those of you who were waiting for him to finish to make your donation so wait no more, make that donation. 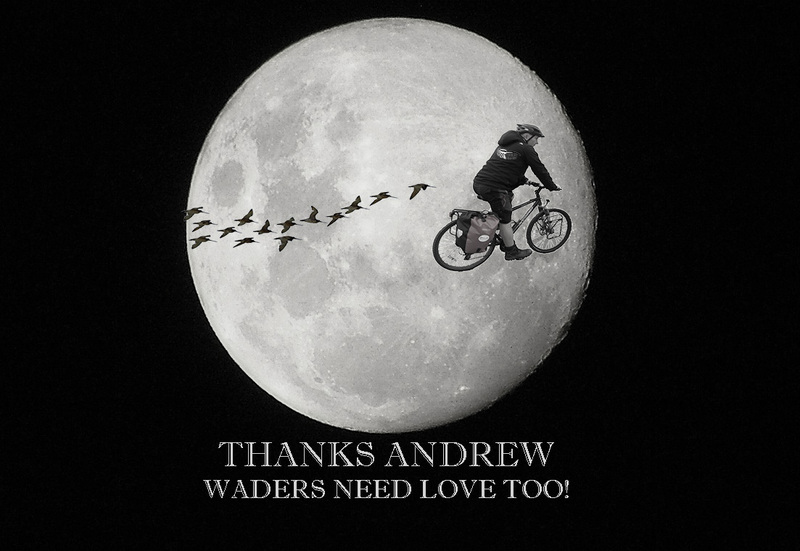 Many of those that have donated have been Friends of Wader Quest and we thank you all for going the extra mile (as Andrew did when they closed the Fourth Bridge to cyclists) and helping Andrew on his way towards reaching his target. It would be a shame if he were not to meet this target, he has put in so much effort and even given of his blood to finish, so if you haven't already been part of this magnificent effort please now help him to feel that it has all been worthwhile and get him to his target of £1,000.